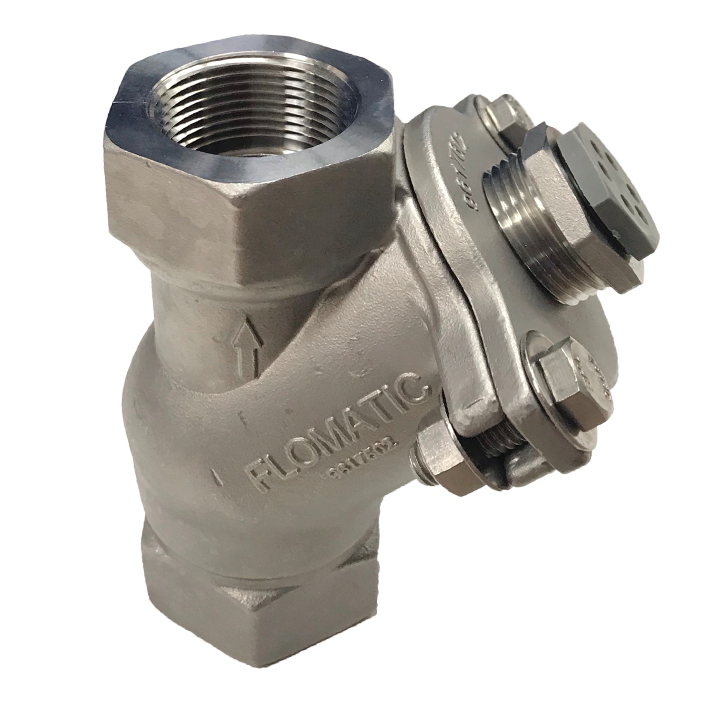 November 20th, 2018 Glens Falls, NY – Flomatic® Corporation introduces their new Model 508S6 Ball Check Valve; a simple, yet reliable 316 stainless steel check valve. Among others, it features a full-ported valve seat uniquely designed to allow a strong phenolic ball to seat on a Nitrile (Buna-N) seat. For vacuum or anti-flooding valve applications, an optional "floating" rather than "sinking" ball is used. Due to its simple, flow efficient design, the valve is virtually maintenance-free. This valve is commonly used in submersible wastewater lift station applications. The optional vacuum breaker mounted on the access port reduces hydraulic shocks (water hammer). Bo Andersson, Flomatic’s President is particularly proud with this new valve. “It was our goal to deliver a longer service life ball check valve, the Model 508S6 does just that. This new valve can be installed both vertically and horizontally and the optional Flomatic® Auto-Vac Model 77 vacuum breaker makes this a one of a kind valve. I am very proud of the work the team has done with this new valve”. Rated at 150PSI and a MAX 180° F, Model 508S6 is now available for immediate ordering on 1 ¼”, 1 ½”, and 2” sizes.